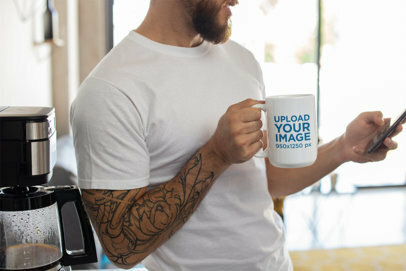 Promote your brand or coffee shop with a good looking man holding a mug with your logo or original design; use Placeit and get it done in minutes. 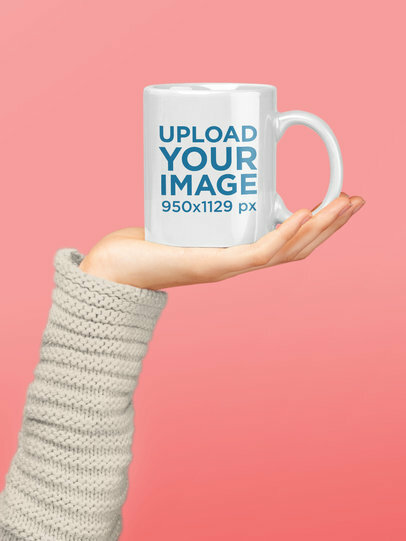 With Placeit's coffee mug mockups, you can create fantastic promotional pictures in no time, and without the need of doing them from scratch. Start using Placeit now and boost your business like a pro! With Placeit's mockups, you can create fabulous images to promote your brand or original designs in no time. 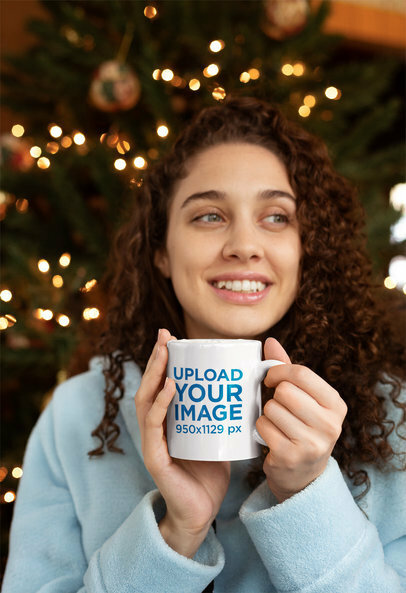 This coffee mug mockup features a woman about to drink a warm beverage from a small mug. Upload your logo or design and get your picture done in just a few clicks. What are you waiting for? Start using Placeit now! Start promoting your brand in the coolest way there is! With Placei'ts smart mockups you can create outstanding visuals for your social media pages and POD websites. What are you waiting for? 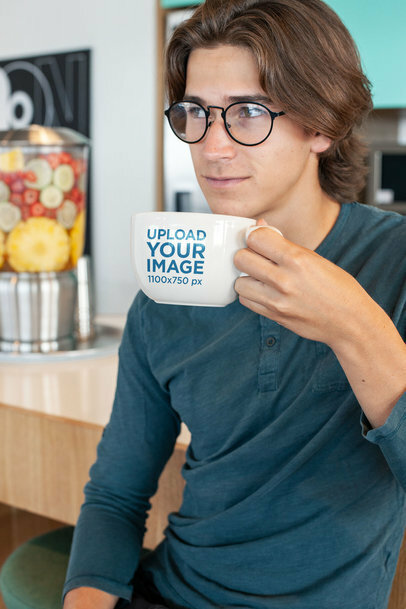 In just a few minutes, you can customize as many coffee mugs mockups as you want to, like this one featuring a good-looking guy at a juice bar. What are you waiting for? Improve your marketing strategy right away with Placeit's visuals! Create professional visuals to attract more customers and captivate their attention right away. 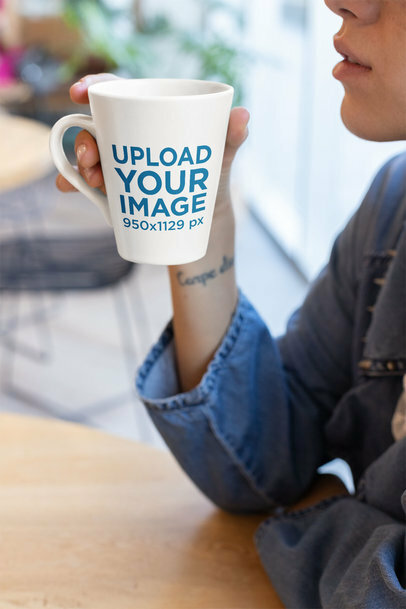 Add Placeit's mockups to your marketing campaign and start showcasing your personalized coffee mug designs. 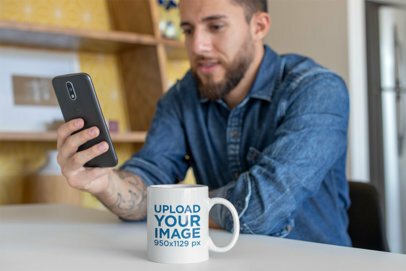 Try this mug mockup featuring a tattooed man holding his cell phone and having a cup of tea. Cool pic, right? Start now using Placeit's mockups! Promote your cool photography with an eye-catching image that will attract more audiences. 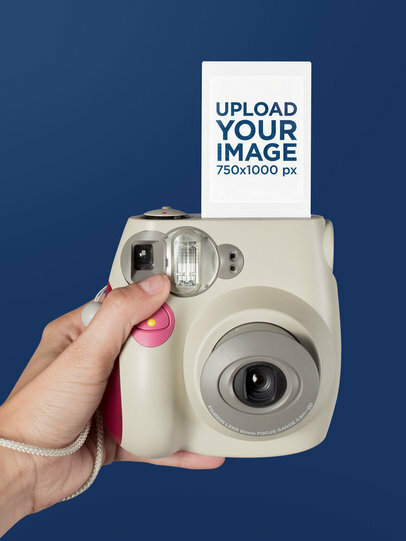 Placeit's instant camera mockup is super cool and easy to use. Just customize the settings to your style, you can even make the background transparent. Awesome, right? Try it out, it will look amazing on your website or social media account. Create an amazing and cool visual with our Instax Frame mockups! They're super fast and fun. Placeit offers an entire collection of Polaroid and Instax Mockups that are perfect for any website and social media account. Try it out, this mockup even lets you make the background transparent! 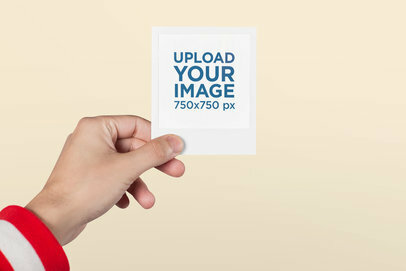 Create your Polaroid Mockup now. 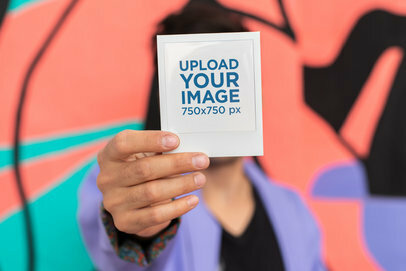 Promote your photography and images with a fun mockup made with Placeit! We offer a whole collection of beautiful Polaroid frames that will pop in any social media account or website. Try it out, it's easy! You can choose from any of our templates and customize them to fit your style, you can even add a subtle color filter. Cool, right? Try it out now! 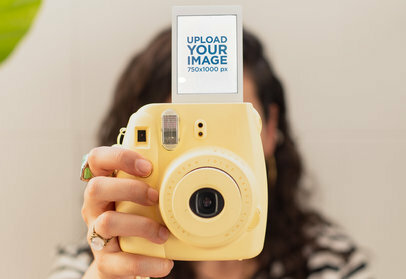 Promote your images with a cool Polaroid Frame! Your website or social media will get more clicks, follows, and views. It's easy just choose any mockup from our Instant Camera collection and customize the settings to your liking. You can even add a subtle color filter to your image. Cool, right? Try it out now. 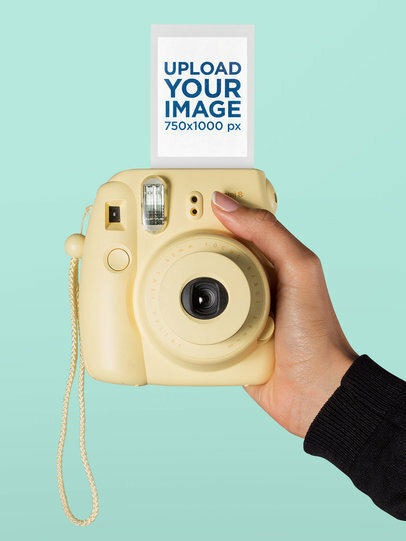 Looking for the perfect Instant Camera mockup for your images? Use Placeit and select whatever image you want to create the perfect Polaroid visual. 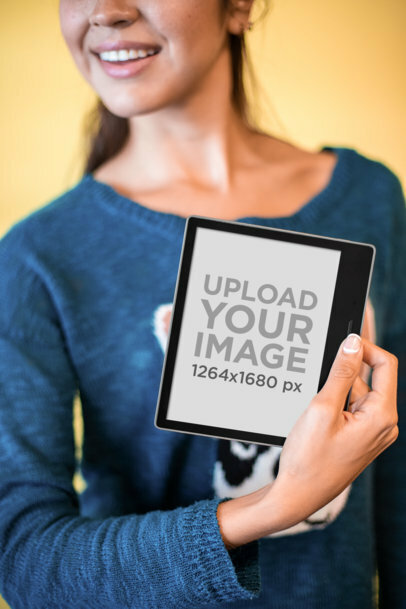 It's so easy, your audience will go crazy for your new images. Cool, right? Try it out now! Your Polaroid Frame mockup will be ready in no time. 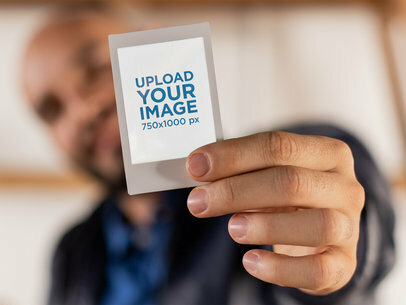 Create a fantastic and eye-catching visual for any of your images with Placeit's Instant Camera mockups. It's easy, we offer a ton of cool mockups that feature retro to new instant cameras. These visuals will look amazing on your website or social media, try it out! Customize the settings to your liking now. 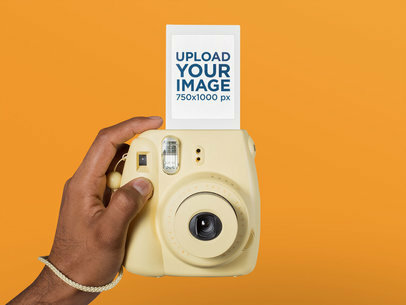 Edit your Instant Camera mockup today! Promote your cool images with trendy Polaroid frames made with Placeit. 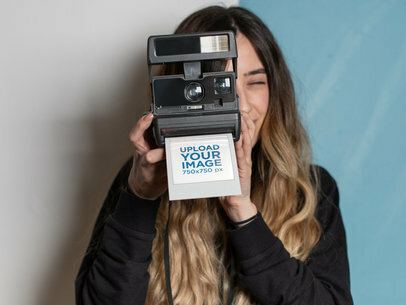 We have an entire Polaroid and Instax Frame collection that you can use and edit to fit your style. Try it out now, it's super easy and fast. Your website and social media accounts will look amazing and fashionable. 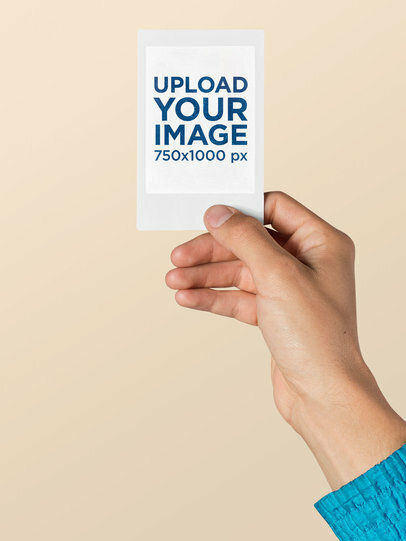 Create your Polaroid Mockup now. 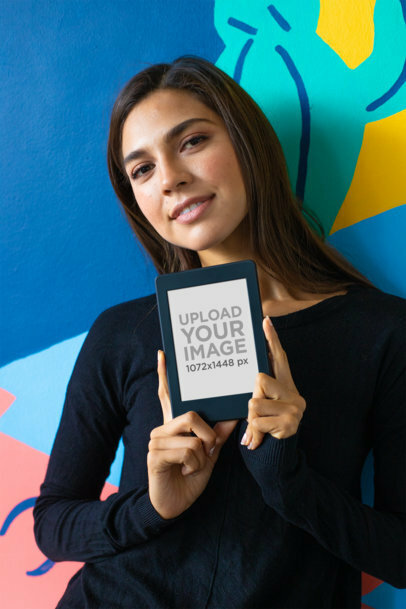 Make all your audiences smile when they see the photo in this Instax frame mockup from Placeit. This picture features an instant camera in selfie position and a photo just released from the printer, but whoever is on the other side of the image is yours to decide. 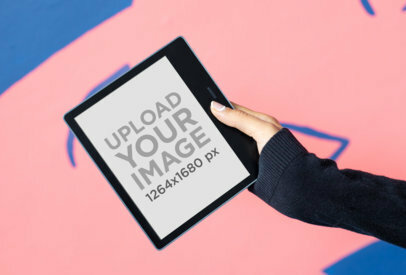 Just try this amazing mockup from Placeit and see how easy it is to make cool visuals. Start creating incredible visuals with a retro vibe thanks to the newest Polaroid frame mockups by Placeit! 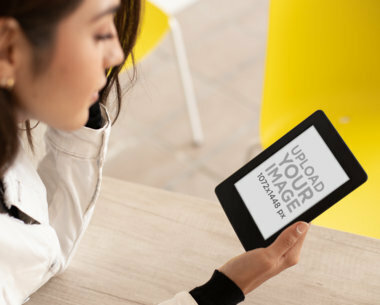 Customize as many mockups as you want and show them off in your social media pages. What are you waiting for? Check out this Polaroid picture frame mockup of a woman covering her face against a cool wall with drawings or search between Placeit's wide variety of visuals. 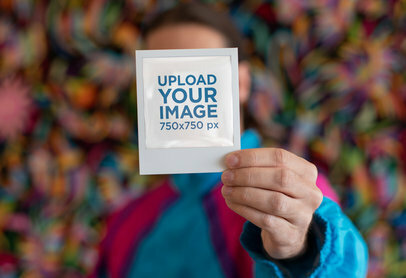 Create a cool retro-looking promotional image with this Polaroid picture frame mockup from Placeit. This picture features a blank photograph being held by a man with a red bomber jacket against a wall. Placeit's Polaroid frames mockups are excellent to portray a cool picture and give your brand a modern look; try them now! 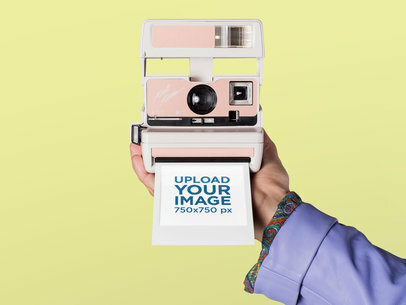 Put your content or brand in a cool Polaroid frame with Placeit's photorealistic visuals! 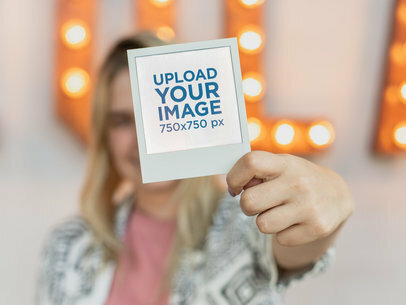 Start customizing as many as you want and in just a few minutes you can have a whole new set of Polaroid picture frame mockups to upload to your social media pages and POD websites. What are you waiting for? Improve your marketing strategy with Placeit! 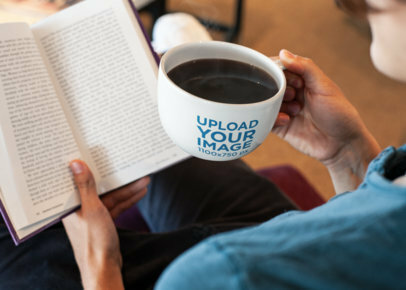 This cool mockup of a ceramic mug in the foreground of a man reading a book in the background is an amazing visual tool you should use to promote your coffee mug designs. 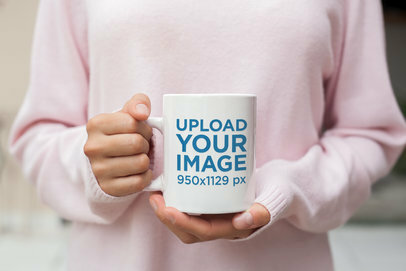 Make your sales grow using this comfy-cool mug mockup perfect for showcasing your designs in a unique and professional manner. Placeit's full of these amazing mockups which are the perfect marketing tool you've been waiting for. What a better way to promote your original designs for throw blankets than with a pretty little girl looking cute while holding her favorite toy? 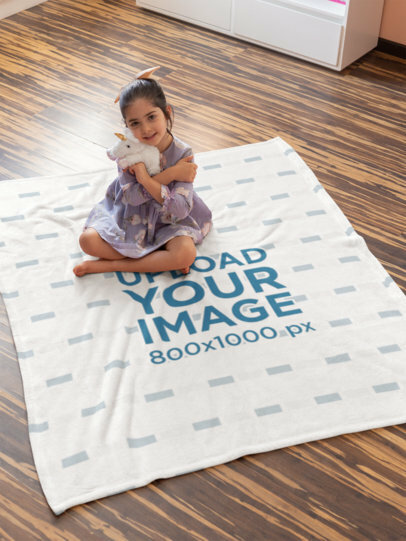 Try this blanket mockup from Placeit! It's very easy to use and the results will pay off. 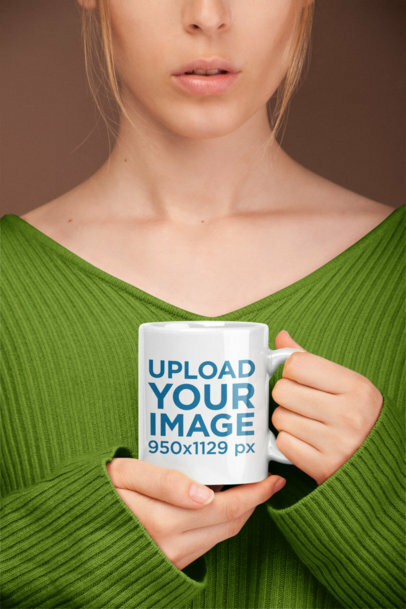 Promote your amazing 15 oz mug designs with Placeit's print mockups. We have a ton of options for you and you can even change the mug's color. You don't need to worry about difficult settings or software, it's all ready for you. Try it out, it's easy! 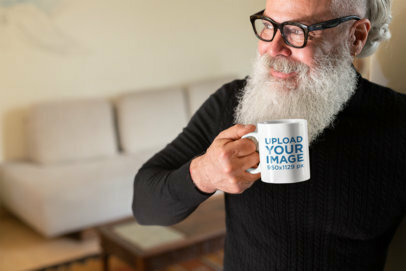 Create a beautiful visual to promote your latest hipster coffee mug design using Placeit and make your revenue grow by showing a realistic image that your audience will surely love. 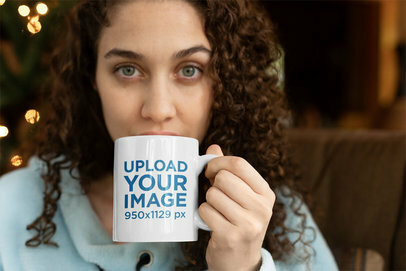 Start now and show a better version of your coffee mug design using this mockup from Placeit! It's a perfect choice for a hipster coffee mug design. 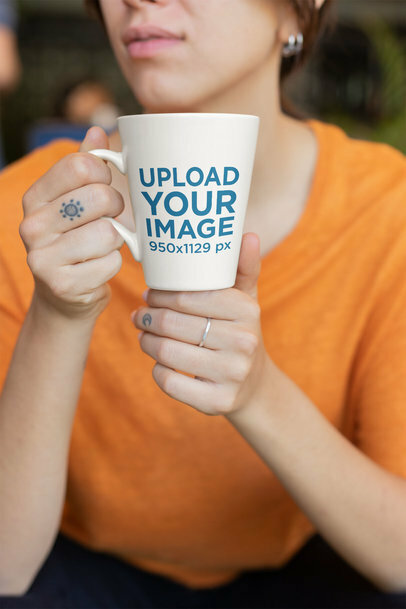 Showcase your coolest designs with Placeit's original 15 oz mug mockups! Our print mockups are trendy, functional and easy to use. 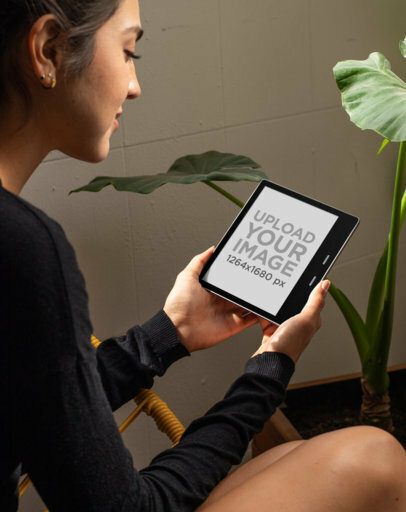 Creating visual assets that you can start using right away as part of your marketing campaign has never been this easy. A woman is looking toward the right and holding a coffee mug. She is holding the cup with her right hand, and she is wearing a tan sweater. 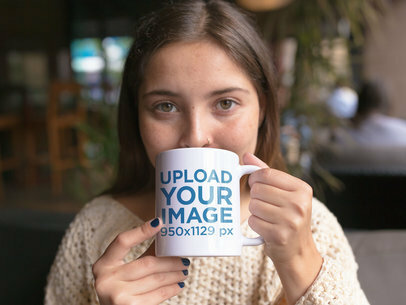 The coffee mug has the words "Upload Your Image" in blue lettering. 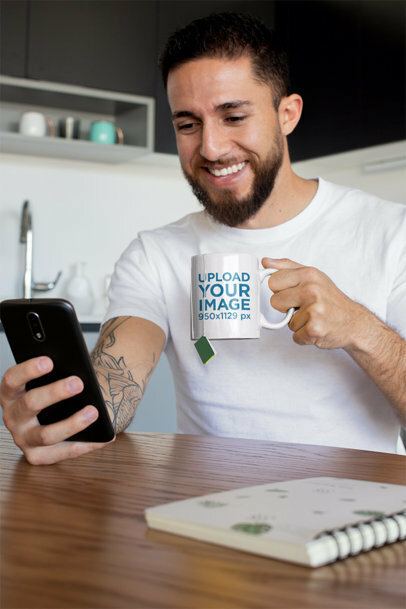 Create an awesome mockup of a man having tea to promote your latest design for a mug using Placeit! 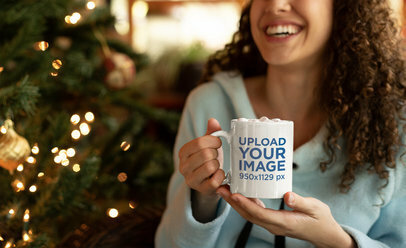 This cool mug mockup is a great choice if you want to showcase your design for a coffee mug using a realistic visual. 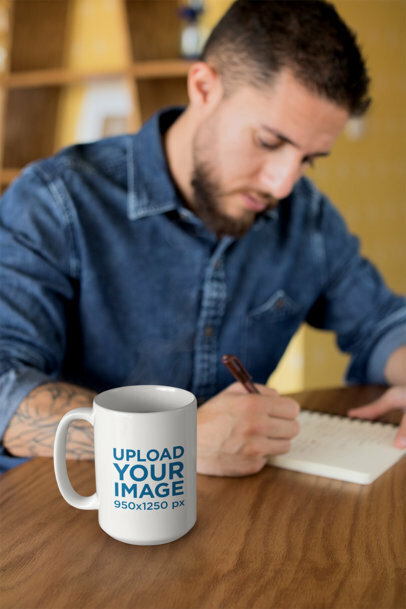 Your customers will appreciate seeing your latest coffee mug design displayed on a real-life image that they can relate to! 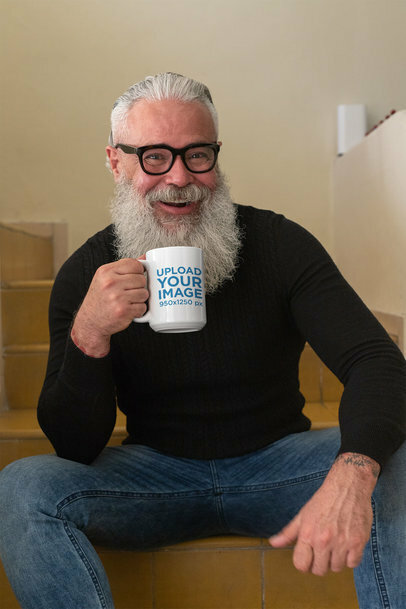 Got your own brand new mug designs you'd like to see showcased by a model? 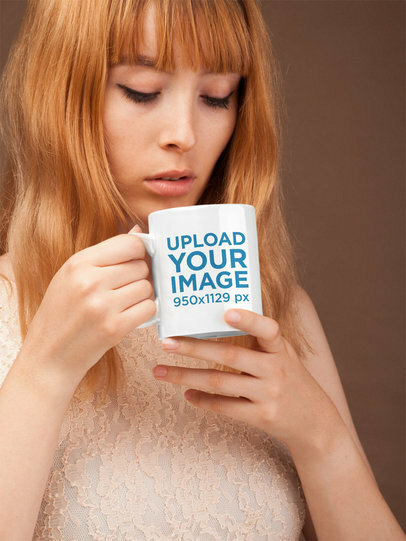 Our coffee mug mockups are cool, trendy, functional and professional. 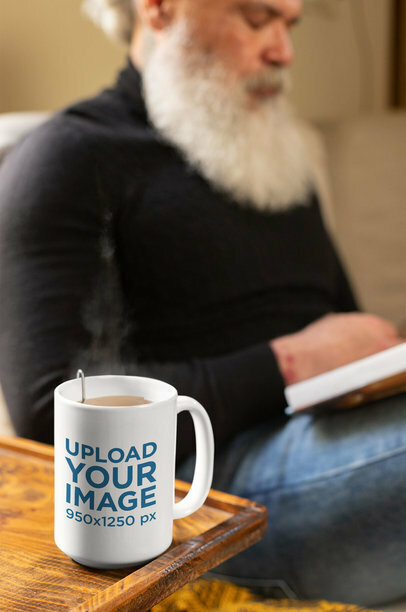 Use them to showcase your personalized mug designs for your POD shop and captivate your audience in visually attractive and enticing ways. Use this and any of the cool mockups we've got in stock for you now and watch your revenues grow! They're cool, stylish, professional and perfect for you to showcase your newest 15 oz mug designs. Just try them out and we're sure you won't regret it. Like this one, which features a bearded man sipping some coffee and checking his messages in the morning. 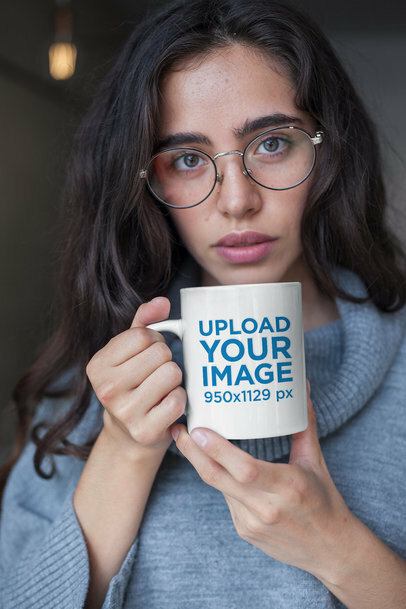 Create an awesome visual of your 15 oz coffee mug design using this gorgeous mockup from Placeit and make your audience go crazy for your designs! 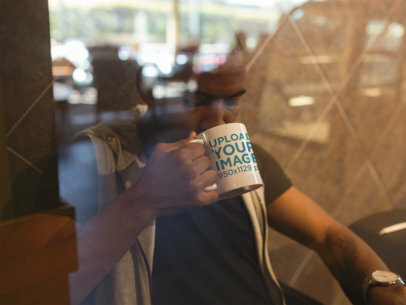 Start now, you just have to use this mockup of a coffee mug to promote your latest 15 oz coffee mug design. 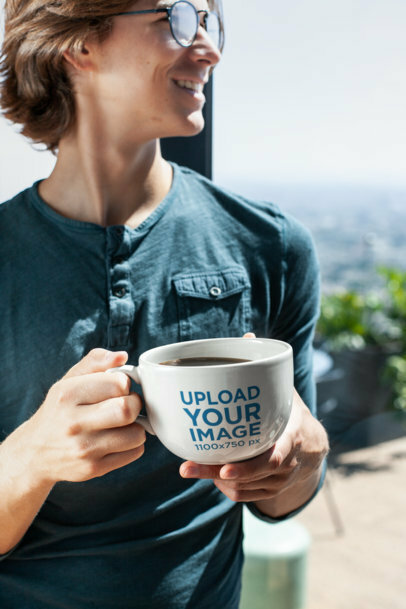 Make your revenue grow by showing a beautiful image with your coffee mug design on it. 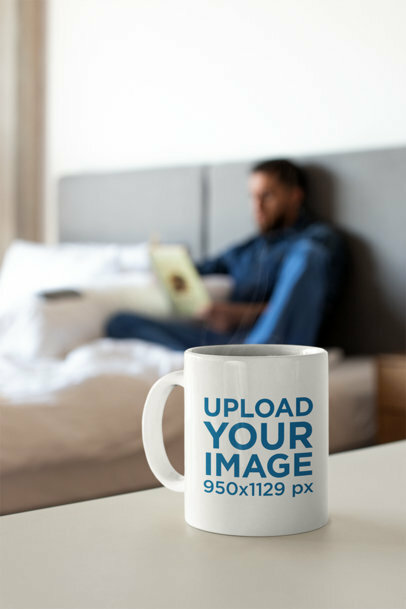 Create an awesome visual to promote your 15 oz coffee mug design using Placeit's mockups! 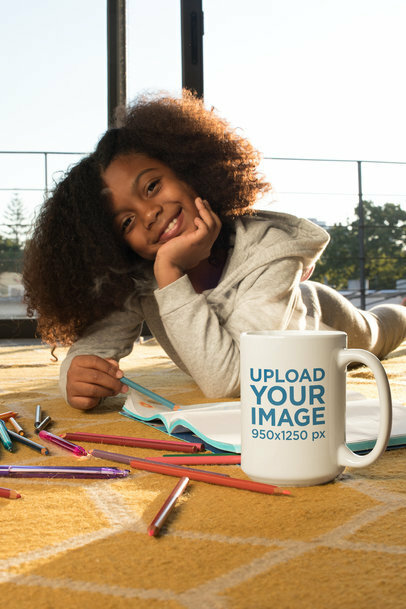 This cool visual is a great choice if you want to show a more realistic version of your 15 oz ceramic mug design for kids. 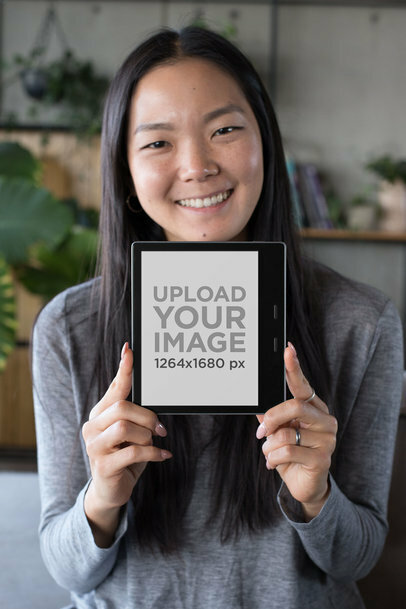 Start now and make your sales grow by showing your audience a gorgeous image featuring a little girl drawing on the floor. This stylish visual of a coffee mug in a warm colors environment is an excellent choice if you want to promote your latest coffee mug design! 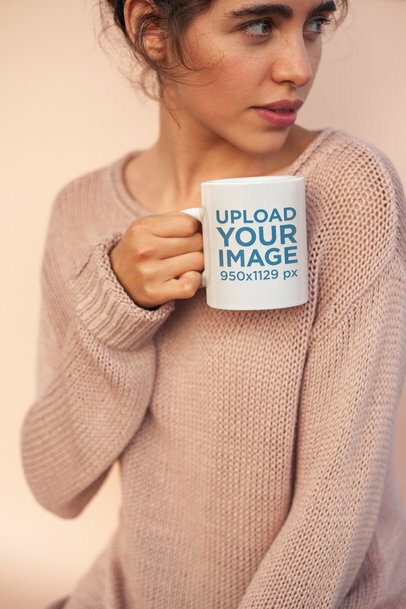 Start now promoting your coffee mugs to your customers and make them see your beautiful designs in a more realistic situation. 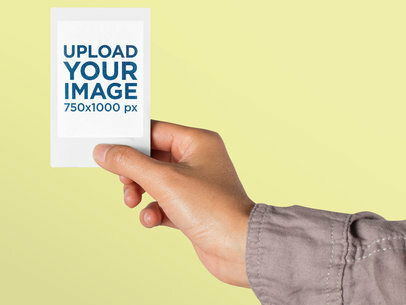 Make your sales grow with Placeit's mockups!